What Are Some of the Causes of Elderly Drug or Alcohol Abuse? What Are the Effects of Alcohol and Drugs on Seniors? How Do You Know if the Person Has a Problem? What Prevents the Elderly From Getting Help? What Rehab Programs Are Available? The elderly turn to drugs and alcohol for many reasons, including physical and emotional pain. The drug abuse is often hidden from loved ones, making the effects hard to recognize. Older adults with addiction also have unique needs and many obstacles to adequate treatment. Despite difficulties accessing care, seniors who get help tend to do just as well if not better than those younger than them. The number of Americans over the age of 65 is projected to more than double by 2060, rising from 46 million to more than 98 million.1 Baby boomers (people born between 1946 and 1964) will be the first wave of this elderly population boom. As the elder boom unfolds, the number of seniors with substance abuse problems could increase significantly. Below are some statistics on the current state of addiction in the elderly. Elder substance abuse is more common than most people realize. Aging is difficult. Getting older means losing many of the things that defined adult life. Kids move away and are busy with their own families and careers. For some, retirement means a loss of social connection and purpose. And health problems can be both debilitating and disheartening. Health problems: For seniors, health problems can come from every direction. Problems with mobility can mean losing independence and depending on family members or medical professionals to get around. Vision problems can make driving impossible and lead to social isolation. Serious health crises such as heart attacks, stroke, or cancer diagnoses can rob people of their hopes and dreams. Health problems that require a great deal of care and medication can also be overwhelming and lead people to seek an escape. Retirement: Making the shift from a busy adult life, complete with raising a family and earning a living, to the life of a senior with lots of free time, can be hard. Some people develop a sense of purposelessness, which can lead to substance abuse. Chronic pain: It is very common for people with chronic pain to unintentionally become dependent on prescription drugs. Opioid dependency becomes addiction when people begin to experience strong drug cravings and continue to use despite facing negative consequences as a result of their abuse. Loss of a loved one: Loss is an inevitable part of life for most seniors. The loss of a spouse or long-term partner can be devastating and can lead many seniors to substance abuse. Many elderly people use drugs and alcohol to comfort themselves in the weeks and months following a major loss. Financial problems: Financial stress is a risk factor for substance abuse issues at all stages of life, including the retirement years. Retirement is expensive, especially when there are medical or nursing home bills that you didn’t expect. Loneliness: Many seniors are isolated by circumstance. Maybe their kids have moved far away and rarely have time to talk. Or maybe they have lost their partner, sibling, or best friend. Retirement means the loss of coworkers and a daily routine. Alcohol and drugs help a lot of people feel less alone. A nightly trip to a local bar may be the only thing keeping them connected to the world. Sleep problems: For some, getting to sleep is a struggle. There are a number of different causes for sleep problems. It can be anxiety, health problems, age, and a change in circumstances, like losing a partner or moving into a new residence. Doctors may prescribe sedatives to help elderly people fall asleep, but these drugs can be addictive. Other people choose to self-medicate with alcohol, prescription painkillers, or over-the-counter sleep aids. 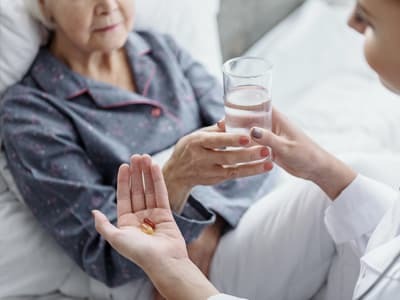 Unintentional abuse: It is common for elderly people to inadvertently take medications incorrectly, which can increase the risk of developing dependence and addiction. Memory problems and cognitive decline can make it difficult for older adults to keep track of their medications. They may unintentionally take them too often or take a larger dose than their doctor intended. Depression: Mental health problems are linked to substance abuse problems at every age. People with mental health issues, such as depression and anxiety, are more likely than other people to abuse both drugs and alcohol. Depression can occur among people who are lonely or isolated. Disabilities that prevent socialization can contribute to depression in older adults. Similarly, the spouses and partners of people with disabilities are also at risk for depression. 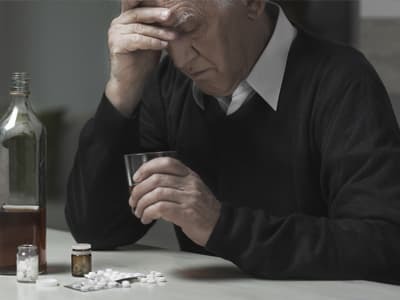 Addiction in seniors is traditionally classified as either early or late onset addiction. As people age, their bodies change in many ways. Alcohol and drugs can affect people differently than they used to. Physiological changes can cause the body to process drugs and alcohol more slowly, which can increase the risk of complications. Seniors with substance abuse problems can be hard to identify, particularly if they are mostly homebound. Many seniors with drug abuse problems feel great shame and try to keep their struggle a secret. Many adult children are hesitant to ask about or address a substance abuse problem in an elderly parent. They may even feel that the person deserves a drink every now and then.Therefore, it is important for other members of the community, such as doctors, nurses, physical therapists, community health workers, retirement home staff members, and others to raise concerns if they notice a problem. Many seniors with drug abuse problems feel great shame and try to keep their struggle a secret. Problems remembering things after drinking or taking medication. Walking unsteadily or appearing uncoordinated. Unexplained changes in eating habits or weight loss. New or intensified chronic pain. Isolation or increased desire to stay at home. Lack of interest in activities that are usually pleasurable. Problems with hygiene or failing to bathe. Trouble keeping in touch with friends and family. Mood swings or personality changes. Elder substance abuse is traditionally an invisible problem, which means people often go without the help they need. As the population of seniors continues to grow and live longer, however, society will need to address the barriers that prevent seniors from getting addiction treatment. 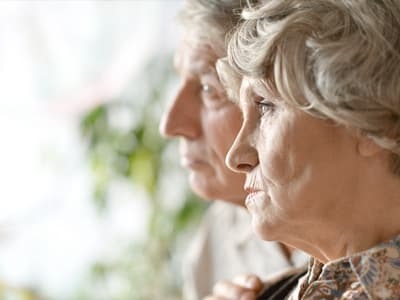 Shame and stigma: Seniors with alcoholism and drug addiction often feel ashamed and are hesitant to admit to their family members or doctors that they have a problem. They fear the stigma of being diagnosed with a psychiatric illness, or they may view addiction as a moral failing. Denial: The adult children of elderly parents are often in denial or ashamed about the severity of their parent’s substance abuse problem. They may excuse unusual behaviors like memory loss, mood changes, and frequent falls as normal symptoms of aging. Misdiagnosis: Physicians, family members, and seniors often confuse the symptoms of substance abuse with other medical problems or general symptoms of aging, such as cognitive decline, frailty, mood swings, and lethargy. Lack of screening: Physicians usually spend more time looking for common medical problems, so they may not notice substance abuse. Bias: Many doctors, family members, and patients don’t think substance abuse can be treated in seniors, especially if their drinking and drug use has lasted for many years. The hospital: Elderly patients with serious medical conditions may benefit by starting their treatment in a local hospital. Detox and withdrawal can be very hard on the body, and it is safest to have the full resources of a hospital available. Inpatient addiction treatment center: An inpatient facility provides 24/7 supervision by medical professionals while going through detox and recovery. Treatment usually includes individual and group counseling, along with medical support. Outpatient addiction treatment center: These are addiction treatment programs that allow people to live at home and attend a program for a specific number of hours per week. This is best suited for people with full mobility and a support system. 12-step programs: Community programs such as Alcoholics Anonymous (AA) and Narcotics Anonymous (NA) have helped millions of people get and stay sober. These meetings are free to attend and offered frequently in person, online, and over the phone. Some older adults benefit from groups made up of people their age, whereas others benefit from the opportunity to mentor younger people with similar problems. Integrated substance abuse treatment models are the ideal way to assist elderly people with alcohol and drug abuse. An integrated treatment program treats substance abuse along with co-occurring medical conditions and mental health disorders. The focus of these programs is to treat the whole person, helping them to achieve healthier, happier lives. Public insurance programs for seniors, such as Medicare, may partially or fully cover the cost of addiction treatment programs. What Types of Therapies Can Help This Population? Older adults with substance abuse problems and mental health conditions can greatly benefit from group therapy. Group therapy can help build social ties and revitalize social skills. It can help people feel less isolated, especially if they do not have strong family networks. Talk therapy may be used with this population, though it can be difficult for older adults who are not as accustomed to discussing their personal problems as younger people. There are several different approaches to talk therapy, and no single one works best for everyone. Cognitive behavioral therapy (CBT) is a common approach used by addiction treatment specialists. It helps people learn to recognize and modify the negative thought patterns that led them to substance abuse. People work with counselors, either alone or in groups. Mather, M. (2016). Fact Sheet: Aging in the United States. Benshoff, J. J., Harrawood, L. K., and Koch, D. S. (2003). Substance abuse and the elderly: Unique issues and concerns. Journal of rehabilitation, 69(2), 43. National Council on Alcoholism and Drug Dependence. (2015). Alcohol, Drug Dependence and Seniors. Substance Abuse and Mental Health Services Administration. (2015). Specific Populations Prescription Drug Misuse and Abuse. Substance Abuse and Mental Health Services Administration. (1998). Treatment for Older Adults, TIP Series No. 26. Substance Abuse and Mental Health Services Administration. (2004). As You Age: A Guide to Aging, Medications, and Alcohol. Office of Alcoholism and Substance Abuse Services. Elderly Alcohol and Substance Abuse.